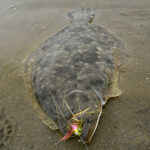 RODS, REELS AND FLIES MUST BE EXCLUSIVELY FOR FLY FISHING. THIS IS A CATCH-PHOTO-RELEASE TOURNAMENT. COST: $70/PERSON, includes $5 big bass pot. CLUB TROPHY: 3 big fish, total length for Club. Or ON SITE Noon-9:00PM Friday or 5-6:00AM Saturday, cash only. Must be registered by May 15 to be eligible for drawing for A SAGE FLY ROD. 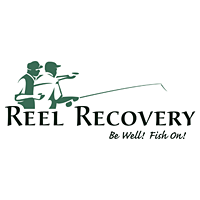 Proceeds benefit Reel Recovery and FFI-Texas Council. SPONSORS: Temple Fork Rods, Skeeter Boats, Umpqua Flies, Tailwaters fly shop, Simms, Sage Rods, Redington, Rio Fly Lines, Smith Optics, Mariner-Sails, Lake Fork Marina, Lone Star Fly Fishers, Cliffs, Ranger Boats, Gypsy Jack Lures, East Texas Fly Fishers, Gray Wolf Fly Shop, Living Waters Fly shop, Lake Fork Area Chamber of Commerce, Wood County Industrial Commission, R&M Associates.